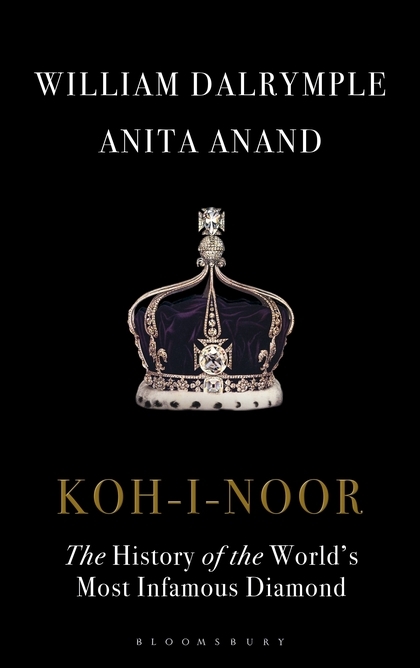 Book Review: Koh I Noor by Anita Anand and William Dalrymple. Diamonds are forever and so are the stories attached to them. This is a book about a diamond, and the lengths people went to in order to possess it. In the end it is a story about possessiveness, belonging and ownership. It is a human story, a chunk of rock, no matter how great in value cannot speak for itself. It’s character is very much formed by its owners, and the fact that these people wished to own it says something about them in turn. As the centuries pass, and the diamond takes on yet more handed down significance, afforded by generations of ownership and individual lives, it has grown a life of its own, a life perhaps as faceted as its etched surface that envelopes the lives of those that would posses it. They must understand what it says about them to want it. After so much time, Koh I Noor has a voice and it comes from centuries of history. The premise of this book, (well presented and richly illustrated) is to tell the real story of the world’s most infamous diamond. This as opposed to the potted history’s collected by the British after they gained possession of it after the 2nd Sikh War. This it succeeds in marvellously. The two authors go back into Indian Legend to explain the significance of such stones as the Koh I Noor, and then follow it right down to the present day controversy of who should possess it. William Dalrymple tackles the immense job of tracking the stone from early Legends and down through it’s hectic early life as a Mughal, then Persian then Afghan and then Sikh trophy. This section takes up part 1 of the story and ends with the death of the Maharaja Ranjit Singh, Dalrymple does a stellar job of reducing down whole centuries into chapters, but inevitably perhaps more elbow room is required and the narrative ebbs and flows. Distance is lost somewhat in the second half of the book, but that’s because we suddenly go into closeup. First of all there is so much more documentation available for Anand to draw on, which helps her build her narrative up. However I could not help but feel a certain unease when it came to the passages about the battles of the Sikh Wars. Now I will just say that the battles and politics surrounding the diamond are central to this story and need to be included to understand why it is important. Nevertheless I wondered if it was necessary to at all times mention the (undeniable) prowess of the Sikh Army and then observe that whenever they were defeated by the British it was only ever down to either treachery or (apparently) better British weapons. I always flinch slightly whenever I come across patterns like this. I tried to decide wether or not this mattered to anyone else but myself, wether or not I was being too pedantic, too critical or unfair. Yet I could not escape from the resolution that the authors had chosen to include this information, and associated titbits, and therefore having done so perhaps would have done well to have attempted to reach a balance of perspectives. 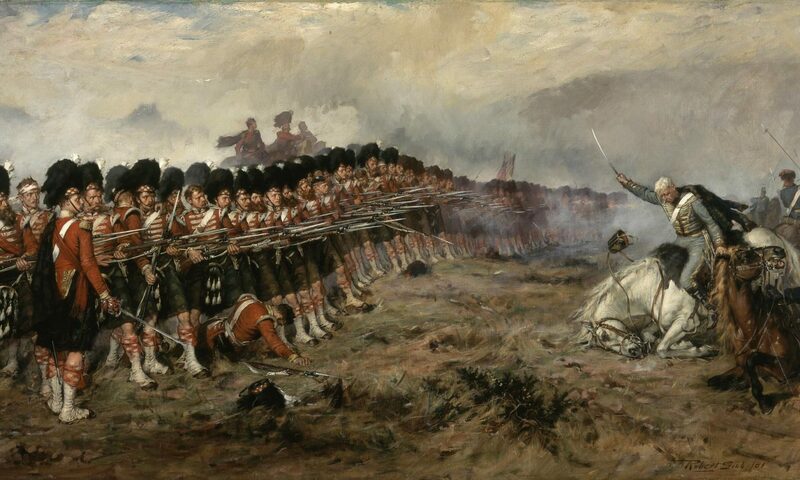 For instance I could have picked at a few minor things to do with the Duke of Wellington but I decided that if readers wanted to read about the Duke in full they’d read another book, but the fighting is directly associated with the story of the diamond whereas Wellington is incidental. This I think brings us back to the way the book tends to delve into the biographies of the main owners, and sometimes strays from actually discussing the subject at hand. Then when it does return to topic, using the Koh I Noor as a sort of connector to carry the story onwards, it is discussed in such a way, especially in the latter half of the book, as to suggest that everybody concerned had no other motive for doing anything than to gain possession of the diamond. Sometimes this quirk can be seen in TV documentaries where a specific thesis is being presented, and where a single, secret, hitherto forgotten pivot becomes the reson-d’être of the entire story. I found therefore checks and balances to my enjoyment of the book, but on the whole I liked it, and it was a fascinating trip down a path less travelled, a joy to read. Then again nothing is perfect to everyone. It is a book that admittedly carries with it a few unanswered questions. In the end when the subject of ownership is raised we are left in the air. All we know is that some in India want it back, and some in Britain would see the act of giving it back as tantamount to admitting to a greater national guilt, perpetrated by earlier generations but nevertheless festering under the surface. The book indirectly asks us to beg the question we return to the question, what does that say about those who want it back, and those who want to keep it? This stone that is now so heavy with the weight of history. There is no longer in either country an Empire for it to represent. Why defend what is no longer in existence? Why use Koh I Noor as a dagger of blame? For all the controversy about ownership, right and wrong one of the most potent legends about the Mountain of Light is that it brings ill fortune to those who posses it. Koh I Noor is the original cursed stone. For centuries it has been fought over, and aptly, one owner was instantly identified as a conquerer for it can only be possessed by those who have vanquished another. After reading this book I am tempted to say that yes, the stone must be cursed. When it became malevolent is impossible to say, but perhaps the curse isn’t what the stone does to people in terms of spells or incantations. But like all great treasures the curse lies in what people do to each other in order to possess it.